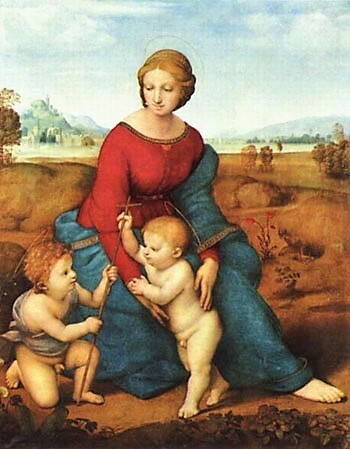 Welcome to the blog Page of Italian Renaissance Art. From here you can quickly and easily link to view the latest material posted on the site, any additional information for existing pages can also be accessed from here. Peter Paul Rubens, Baroque artist and Diplomat. The Fine Arts Museums of San Francisco are organising an exhibition featuring the early works of Peter Paul Rubens. The exhibition Early Rubens starts on April 6, 2019, and runs until September 8 2019. Rubens was greatly influenced by the art of the Italian Renaissance, he admired the work of Raphael Michelangelo and Leonardo da Vinci and also the Venitian Renaissance masters such as Titian and Tintoretto. As the title suggests Early Rubens will focus on the development of this prolific artist’s rise to international fame and is dedicated to the pivotal years between 1609 and 1621. Many of the featured paintings, gathered from museums in London, Vienna, and New York in addition to works from private collectors will be shown in North America or the US West Coast for the first time. Rubens painted a wide variety of subjects including mythological scenes, biblical stories and many portraits of family members in addition to his depictions of important political figures and courtiers. He is a true artistic giant, a master of world art, a genius whose skill is recognised by art aficionados around the world. I would urge anyone who has the opportunity to visit San Francisco to make a visit to this exhibition a priority of their time in this city. 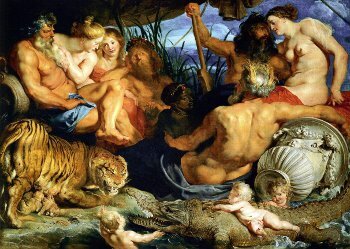 Continue reading "Peter Paul Rubens, Baroque artist and Diplomat." Tintoretto, 500 years of the Venetian Renaissance master. 2019 not only marks 500 years since the birth of Leonardo da Vinci, but it is also the 500 year anniversary of Jacopo Tintoretto’s birth. In celebration of the work of this remarkable painter from Venice, the National Gallery of Art in Washington will hold a major exhibition of his works. The exhibition, Tintoretto: Artist of Renaissance Venice, will open on March 24, 2019, and run until July 7, 2019. This will be the first retrospective of the artist in America and will include almost 50 paintings in addition to several drawings spanning the whole of the artist’s career. The exhibitions only other venue was at the Palazzo Ducale in Venice, it began in September of 2018 making the Washington venue the only one to show these works in the USA. Having been privileged to view Tintoretto’s paintings in the Accademia Galleries in Venice and also in the magnificent Scuola Grande di Rocco, also in Venice, I would urge anyone to visit this exhibition. Tintoretto enjoyed a long and prosperous career, he is considered along with Titian and Veronese, to be one of the foremost masters of Renaissance Venice. 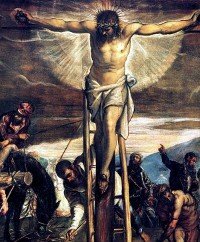 Continue reading "Tintoretto, 500 years of the Venetian Renaissance master." 2019 marks the 500 year anniversary of Leonardo's death. In the UK this will be marked by a series of simultaneous exhibitions to be shown in 12 cities across the nation. 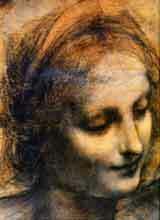 The Royal Collection contains 550 of Leonardo's most important drawings. Acquired by Charles 11 they are in excellent condition having rarely been on public display. The drawings will then be brought together to form part of an exhibition at the Queens Gallery, Buckingham Palace. Celebrations, exhibitions and events will be held in Italy, France and indeed around the world. Leonardo da Vinci died on May 2, 1519, in Ambrose, France a genius of the Renaissance whos flame still shines brightly after half a millennium. 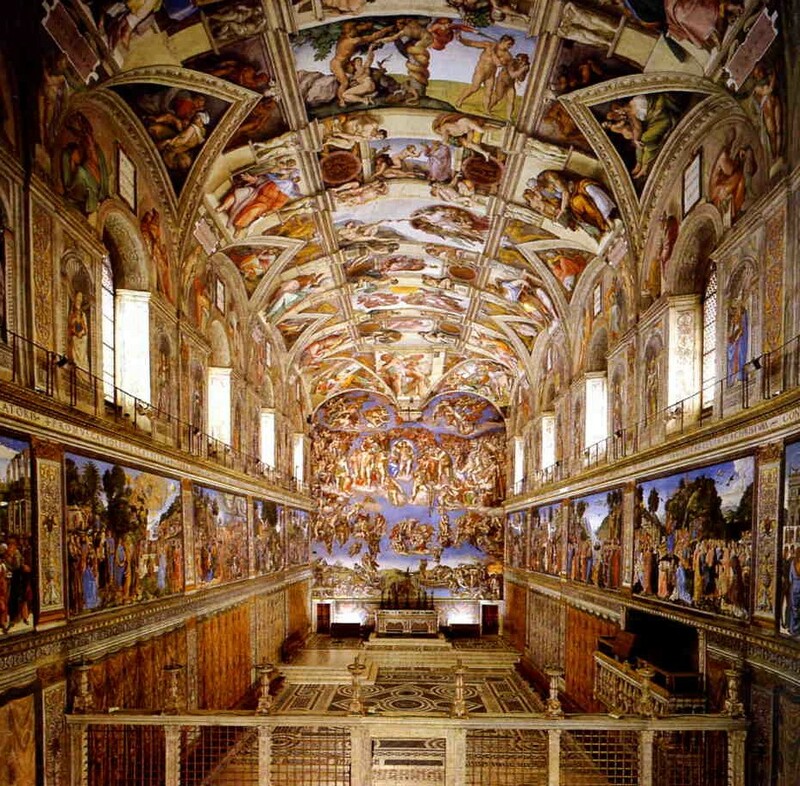 Continue reading "Leonardo da Vinci, celebrate 500 years since the death of a genius"
Continue reading "The Sistine Chapel with frescos by the greatest Renaissance artists"
Michelangelo Buonarroti was the greatest sculptor of the sixteenth century. Despite the passage of some 500 years his masterpieces still have the power to engage and astound the present day viewer. 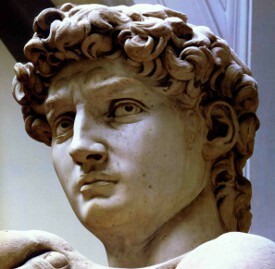 From his early efforts through to the Rome pieta his astounding statue of David and beyond this prolific Renaissance polymath’s works are a must see. This updated page contains more images and text on Michelangelo’s sculptures reflecting the depth and astonishing quality of his work. 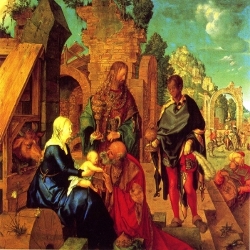 Continue reading "Raphael High Renaissance genius"
Albrecht Durer is the most celebrated artist of the Northern Renaissance. This multi-talented polymath excelled in painting, printmaking, engraving and mathematics in addition to his writings on perspective and other subjects. Highly influenced by the art of the Italian Renaissance he was much admired in his lifetime winning the patronage of kings, emperors and princes who marvelled at the skill of the great artist from Nuremburg. Explore the life and work of this influential Renaissance Masters extraordinary artistic achievements. Leonardo da Vinci's Last Supper. The last Supper is Leonardo da Vinci’s monumental mural for the monks of the Dominican convent of Santa Maria delle Grazie in Milan. Ground-breaking for depicting the movement and expressions of Christ’s Apostles, it is a masterclass of Renaissance painting. Despite the condition of the mural deteriorating badly over the years it remains as one of Leonardo’s best known and best loved works. Continue reading "Leonardo da Vinci's Last Supper." Venus and Mars continues Botticelli's series of mythological paintings. It is an expression of love (Athene, Goddess of love) overcoming war (Mars, the God of War). Set in a sacred garden the iconography displays the mythology of Gods and satyrs in what is a sensual feast of Renaissance painting. Continue reading "Botticelli's Venus and Mars"
Athene and the Centaur another of Botticelli's mythological paintings. Athene and the Centaur the victory of chastity over lust. 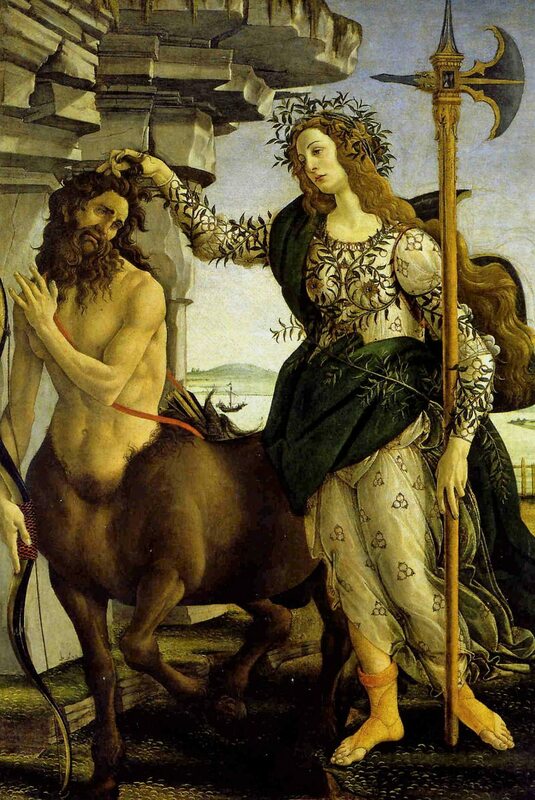 Continue reading "Athene and the Centaur another of Botticelli's mythological paintings."